Older adults have been found to be just as adept as younger people when it comes to recalling new information, as long as they draw what they're trying to remember. Researchers at the University of Waterloo conducted a series of tests on 24 undergraduate students and 24 adults over the age of 65 who had normal cognition. For both seniors and younger people, drawing has a "surprisingly powerful influence" on memory, they concluded, in a paper published in Current Directions in Psychological Science. Participants were each shown 30 words, all of them nouns that could be easily drawn. They were then told whether to draw or to write each word, within a 40-second limit. Of the 30 words studied, 15 were randomly selected to be drawn and 15 written. Between the words and the memory test, they listened to tones for a couple of minutes to disrupt memory processing. In the next phase of the experiment, participants were given two minutes to recall as many of the words as they could. Both groups showed better memory retention when they used drawing rather than writing to encode the new information, recalling roughly twice the number of words they drew, compared to those they wrote. Furthermore, both young and older participants had a similar level of retention if only the drawn words recalled were considered. However, more words were recalled by the younger adults than the seniors. Previous studies have indicated this is because younger adults are more likely to spontaneously engage in imagery-based encoding strategies to remember words. Melissa Meade, PhD candidate in cognitive neuroscience at University of Waterloo, conducted the study along with Myra Fernandes, a psychology professor in cognitive neuroscience, and Jeffrey Wammes, a recent PhD graduate from the university. "The fact that we didn't see a difference between older and younger adults when they drew in that sort of memory, that was perhaps the most surprising thing for me," Meade told CBC. 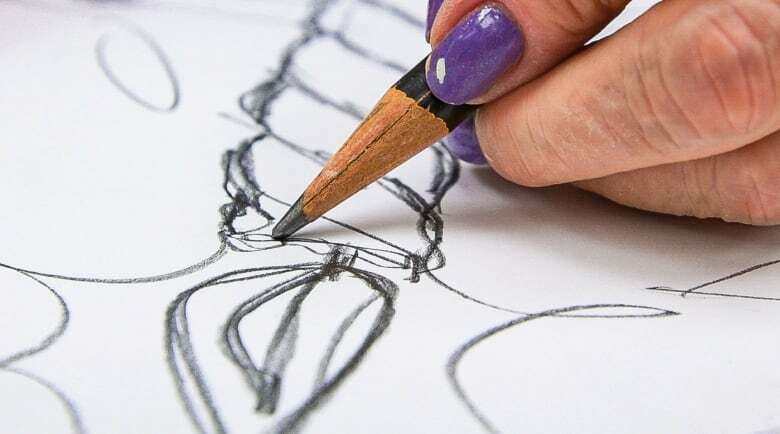 "Even if their drawings were virtually incomprehensible, they're still showing this [drawing] effect, and that's pretty exciting," said Dr. Susan Vandermorris, a neuropsychologist at Baycrest Centre, a Toronto hospital specializing in senior care and healthy aging. Diane Robson volunteers as an art teacher at Baycrest — and at age 72, she's also a senior citizen. She said the study gives her added motivation to get seniors drawing this year. "I might try it to see if it's easier to remember," Robson said. "It's a big effect and it's so simple. We will figure out how to apply it," Vandermorris said. The researchers say even four-second drawing can help people recall a word, and they believe the technique could be useful for people with dementia.